There are currently 0 condos listed for sale at Clusters of Meadowview. So far this year, 1 condo has sold and in 2016, 3 sold. $152,500. 5825 Staghorn, Ypsilanti. 1408 sq. ft., +400 in finished lower level, 2 bedrooms and 1.1 baths. $171,000. 5716 Staghorn, Ypsilanti. 1408 sq. 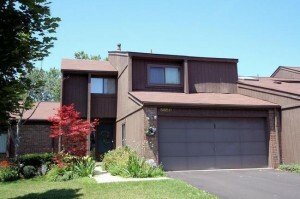 ft., +536 in finished lower level, 2 bedrooms and 2.1 baths. The 3 condos sold in 2016 have an average sale price of $167,667 and an average price per square foot of $116.00. The condo sold this year has an ASP of $152,500 and an A$SF of $108.00. Both of these numbers are lower than the sales last year, but will hopefully rise when more sales occur. To keep up to date with new listings and sales at Clusters of Meadowview, contact the condo specialists with The Bouma Group, Realtors today at 734-761-3060 or email info@bouma.com. 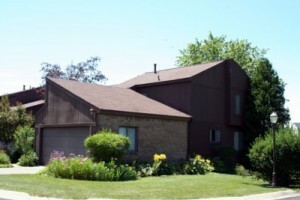 See more Ann Arbor Condo complexes here! The Clusters of Meadowview condos is a small complex of contemporary styled units located on the south side of Ann Arbor in Pittsfield Township. Condo owners love the peaceful setting and beautiful views. There is currently 1 unit listed for sale and 0 units have sold so far this year.